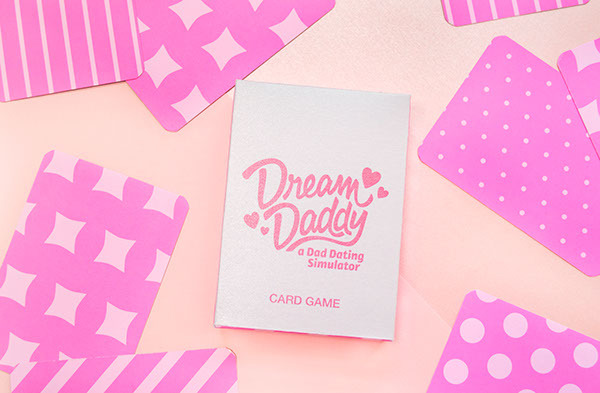 Dream Daddy Card Game is based on the original Dream Daddy Dating Simulator, a 2017 game that upended the video gaming world with its wild yet captivating concept. 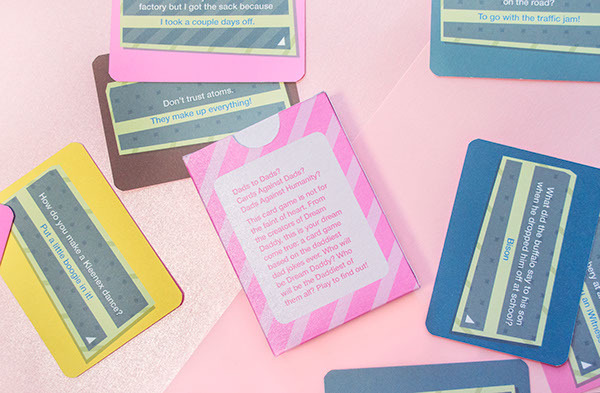 This card game draws upon only one of the many humorous elements of the original — an analog translation focusing on the dad jokes. 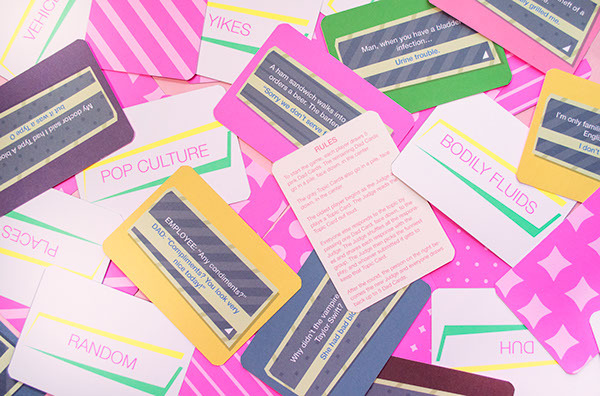 It plays like a typical Apples to Apples or Cards Against Humanity card game, with topic cards and corresponding dad jokes. To me, Dream Daddy is a glorious celebration of the times. Despite the premise, it’s not really about being gay at all. None of the characters in the game nor the player’s sexuality is ever questioned at all — it is simply, dads dating other dads. The game covers other topics such as parenting troubles, relationships, etc in a tasteful yet realistic manner. Homosexuality is not key in the story; in fact, it’s hardly relevant. 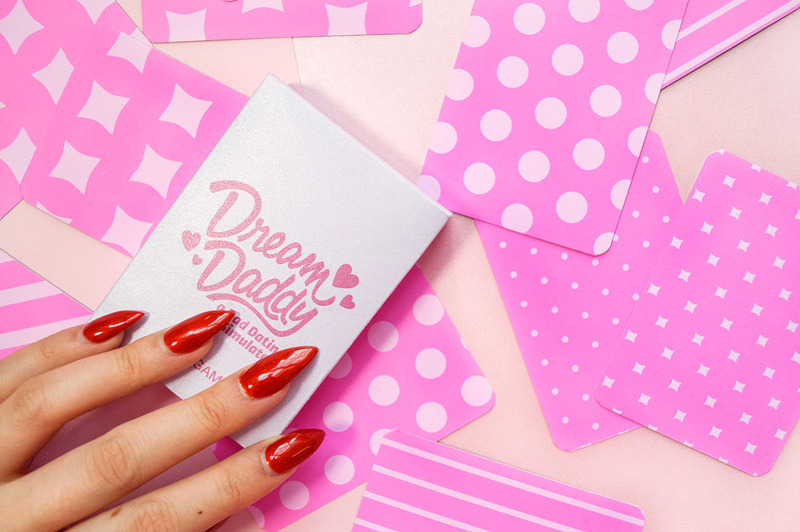 The game is about dads, absurdity, and humor; pure and simple. Created for Interaction Design, under the guidance of Jodi Leo.